What’s better than one lightning-fast car emblazoned with the BSA logo? Two, of course. Last week, the Boy Scouts of America announced it was entering the action-packed world of NASCAR. First, the alliance expands the reach of BSA Racing. You already know about the BSA No. 19 IndyCar, made possible by the generosity of Gail and Dale Coyne. Now, BSA Racing will expand to include the NASCAR Nationwide Series, meaning even more people will hear about Scouting and learn about the movement’s relevance to today’s youth. 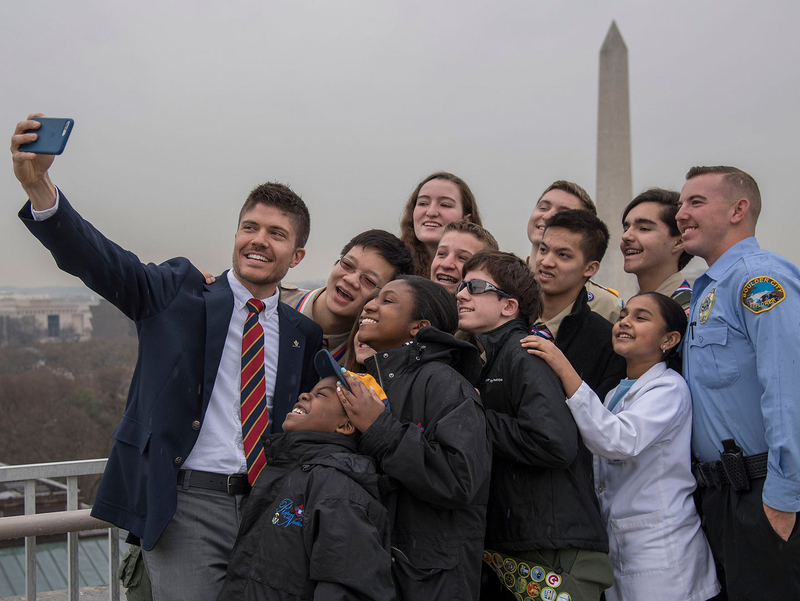 Second, this relationship further advances the STEM initiative with another way to introduce Scouts to real-world applications for science, technology, engineering, and math. Think about it: Would your Scouts prefer learning STEM subjects in a stuffy church basement or by visiting the garage of a race-car driver? The move includes a multiyear relationship with Scott Lagasse Racing as an associate sponsor of the No. 8 Hybrid Light-BSA Chevrolet in the NASCAR Nationwide Series. With up to 1.9 million viewers per race, the NASCAR Nationwide Series is the second most-watched motorsports series on TV. (The NASCAR Sprint Cup Series is first). Forty-two percent of NASCAR Nationwide Series fans have children under the age of 18. Hybrid Light, a brand of solar-powered flashlight, is the primary sponsor. The BSA is an associate sponsor. Scott Lagasse Jr. (pictured at right) is slated to drive the car. The relationship will officially begin at the Kentucky 300, held Sept. 22 at Kentucky Speedway. Oct. 20, 2012: Kansas Lottery 300 in Kansas City, Kan.
Nov. 17, 2012: Ford EcoBoost 300 in Homestead, Fla. The team is planning to race in at least 15 races in 2013 and will run the full schedule in 2014 and 2015. How can you use this partnership for recruiting and retention? Will you take your Scouts to see a NASCAR Nationwide event in the future? Leave your thoughts below. Photo by Flickr user haglundc.